The world financial system is a total fraud. It is one gargantuan Ponzi scheme, no better than the one Bernie Madoff used to swindle his friends and neighbors, and thousands of times worse if you add up the total number of victims it has ripped off over countless generations. The principal difference between the two schemes is that Madoff was acting outside the law while the international banking cartel has persuaded generation after generation of monarchs, presidents and prime ministers to provide legislative protection for their larceny. The banks Ponzi scheme is alarmingly simple. They lend the same money to several people or institutions at the same time and collect interest on it from each. What the banks really lend, however, is their credit, and what they take back in compensation for that privilege is a debt that must be repaid with interest. The number of times they lend the same money is called leverage. The practice is as old as the hills but for our purposes we can start with the goldsmiths of Lombard Street in London, England, who accepted deposits for which they issued certificates redeemable on demand. They paid their depositors a nominal interest rate on the understanding that they could lend the money to their customers at higher interest rates. They soon found that they could lend more than they had in their vaults because only a few depositors came in to redeem their gold or silver at any one time. It was a scam. It was illegal. 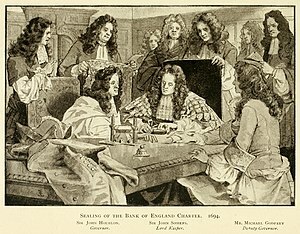 Nevertheless they got away with it for a long while and the scam was legitimized when the Bank of England was chartered to help King William finance his war. Rich people subscribed £1,200,000 in gold and silver, as capital, to found the bank, which then was lent to the government at 8 percent. 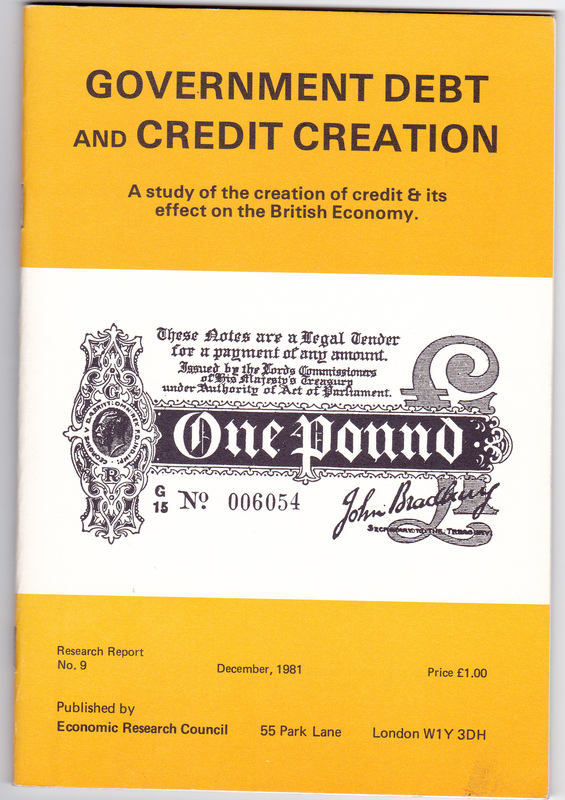 To show his appreciation the King allowed the bank to print £1,200,000 in banknotes and lend them at high interest rates. In effect, the bank was allowed to lend the same money twice – once to the government and once to the people. If any skeptics think I am overstating the case don’t take my word for it. Go to www.victoryfortheworld.net and read some of the books that can be used as references. A hundred pages of The Web of Debt, for example, setting out the history of money, will probably be enough to make you sick at your stomach. I stopped reading it at night because if often made me so angry I couldn’t sleep. Over the years, due to the avarice of the banks and the complicity of the politicians, that ratio has increased dramatically. In the early days of the 20th century, federal chartered U.S. banks were required to keep gold reserves of 25 percent. That means they were allowed to lend the same money four times. I remember when Canadian banks were required to maintain a cash reserve of 8 percent. That means they were allowed to lend the same money 12½ times. Today, thanks to Milton Friedman’s irrational flip-flop from being a proponent of 100% cash reserves to the opposite extreme of zero reserves, and the adoption of his ideas by the major central banks of the world in 1974, multiples have increased dramatically – in some cases to as much as 20 to 1 or more. Banks only keep enough cash to meet day-to-day demands for those few customers who go in and request it, and consequently the fraud is virtually total. The system works this way. Suppose that you want to borrow $35,000 to buy a new car. You visit your friendly banker and ask for a loan. He or she will ask you for collateral – some stocks, bonds, a second mortgage on your house or cottage or, if you are unable to supply any of these, the co-signature of a well-to-do friend or relative. When the collateral requirement is satisfied you will be asked to sign a note for the principal amount with an agreed rate of interest. When the paperwork is complete, and the note signed, your banker will make an entry on the bank’s computer and, presto, a $35,000 credit will appear in your account which you can use to buy your car. The important point is that seconds earlier that money did not exist. It was created out of thin air – so to speak. At some point, however, you have to pay off your note and any interest owing. And not only you but everyone else who has borrowed “money” from banks – including governments which, by the way, own the right to print money [creating money from nothing] but that have irresponsibly handed the right over to an elite group of private bankers. Anyone who defaults is in big trouble. Individuals who default will have the assets they pledged as collateral seized by the bank. A government that is in danger of defaulting, will be forced to borrow from the International Monetary Fund, which will then tell that government how to run its affairs including cutting back on services and selling off public assets to the international vulture capitalists. A world system where all the money is created as debt is a perpetual disaster in the making. It is like a giant balloon that the banks pump full of debt. The balloon gets larger and larger until the debt load becomes too heavy to carry, and then it is like a balloon with a pin stuck in it. The system crashes and thousands or sometimes millions of innocent people lose their jobs, homes, farms and businesses. Almost any high school student should be able to see that any monetary system based on debt creation is totally insane. The total world debt, mathematically, is always tending toward infinity – and there is no possible way of paying it off. The real money (legal tender) to do so doesn’t exist. And the real economy that depends on cash to grow shifts into low gear whenever the supply of credit money dries up. Not surprisingly, there have been 25 recessions and depressions in the United States since 1890. In several cases, including the Great Depression of the 1930s and the current Great Recession, the evidence indicates that the meltdown was anticipated by a few insiders who helped trigger the catastrophe. In the wake of the Great Depression, the U.S. Senate Banking and Currency Committee Report that became widely known as the Pecora Report on the Practices of Stock Exchanges, indicated that there were insiders who benefitted from the crash. “Legal chicanery and pitch darkness were the banker’s stoutest allies,” Pecora wrote in his memoir. Similar allegations were evident in Charles Ferguson damning documentary “Inside Job,” relating to the 2007-2008 meltdown. These reports, and other historical evidence prove beyond any doubt that much of Wall Street is rotten to the core. It has become one gigantic millstone around the neck of both the American and world economies. The collateral damage from the recent meltdown has been staggering. The U.S. Bureau of Labor estimated that 8.4 million jobs were lost in the U.S. alone. Most countries experienced similar dramatic losses. The reduction in asset values worldwide has been estimated at $20 trillion U.S. dollars, yet not a single one of the culprits is in jail. You would think that someone would have had the decency to launch a class action for at least $10 trillion against every individual and every organization that contributed to the catastrophe in any way. It boggles the mind that a system so vulnerable to manipulation would ever have come into existence in the first place. The evolution did not happen by accident. It was not guided by the mythical invisible hand of Adam Smith. On the contrary, for more than a century-and-a-half, it was engineered by the barely visible hand of the Rothschild family and its allies, and since World War II by the Rockefeller family. The two dynasties combined forces to exercise influence on many fronts sheltered by the cloak of secrecy established by the Bilderberg Group. The long term influence of the banking cartel is incalculable. Their biggest coup was the establishment of the Federal Reserve System in the United States. The big New York banks really didn’t like the idea of genuine competition, so a small group held a secret meeting at the private resort of J.P. Morgan on Jekyll Island, off the coast of Georgia. Their scheme, devised by Paul M. Warburg, and subsequently adopted by Congress, is a legal private monopoly of the U.S. money supply operated for the benefit of the few under the guise of protecting and promoting the public interest. It is a tribute to the skill of the international bankers that they were able to draft a bill, revise it, change its name and make the few window dressing compromises necessary to get it adopted by Congress just before Christmas when quite a few Representatives must have been dreaming of sugar plum fairies instead of exercising due diligence. Only Charles Lindberg Sr. seemed to grasp the essence of what was going on. To put it bluntly, the Congress transferred its sovereign constitutional right to create money to the sole custody of a group of private bankers. The magnitude of the hoist is unprecedented in the history of the world – the numbers now are in the high trillions. Soon after the bill was passed the magnitude of the tragedy began to be recognized. William Jennings Bryan, who acted as Democrat whip, later said: “In my long political career, the one thing I genuinely regret is my part in getting the banking and currency legislation (Federal Reserve Act of 1913) enacted into law.” President Woodrow Wilson, just three years after passage of the Act, wrote: “A great industrial nation is controlled by its system of credit. Our system of credit is concentrated (in the Federal Reserve System). The growth of the nation, therefore, and all our activities are in the hands of a few men…. We have come to be one of the worst ruled, one of the most completely controlled and dominated governments in the civilized world.” But the bill was not repealed; almost 100 years later the sell-out is still the law. This makes you wonder what the people’s representatives have been doing to earn their salaries. The people in charge of the original deception were very far-seeing. They realized that when future governments had to borrow from them they would need a constant income stream to pay the interest on the bonds. So they persuaded the government to introduce income taxes, first as a temporary measure, but later permanently, so it would be able to meet its obligations to the bondholders. In fiscal year 2005 total individual income taxes in the U.S. totalled $927 billion. Of that amount $352 billion, or 38%, was required just to pay interest on the federal debt. The figure would be higher now. The banksters, as they were often called, then decided that an independent press might catch on to the chicanery. Oscar Callaway is reported in the Congressional Record of February 9, 1917 as follows. It has been suggested that the Bilderberg Group may have taken a leaf from the Morgan precedent to protect their interests in the late 20th and early 21st centuries. That is impossible to prove, because its members are sworn to secrecy, and the press won’t report on its meetings. Could it be mere coincidence that the monetary system, the downside of globalization, 9/11 and the decades-long cover-up of the extraterrestrial presence and technology (especially the clean energy sources that would impact the value of oil stocks), the four subjects of most direct beneficial interests of the banksters, are the four subjects that are avoided like the plague by the mainline press? In the latest meltdown of 2007-2008, the Fed acted quickly to prevent the Ponzi pyramid from collapsing completely. It printed trillions of dollars to bail out the banks and a few industries that were highly indebted to banks. But what did the Fed do for the taxpayers whose money was so wildly diluted to save the banks? Nothing! They were left to fend for themselves. Millions of people lost their jobs, their farms, their houses, their hopes, and their dignity as a result of circumstances beyond their control. The taxpayers bailed out the banks, but got nothing in return. The same is true of governments who came so quickly to the rescue. As a result of the meltdown their revenues were decreased so they were forced to incur or increase their deficits, as well as to start cutting back on essential services. The Fed pretended to be helping stimulate the economy by reducing interest rates to near zero. It would be an interesting exercise to find out what happened to all of this low-cost money. It would be a good subject for Congressional attention. How much did the banks use to buy up domestic and foreign assets at fire-sale prices? Was any of it used by financial institutions to try to corner world food markets and raise prices at a time when millions are starving? No doubt some taxpayers did take advantage of the low interest rates available but were they warned about the old bait and switch game? Anyone who acquires assets with cheap money runs the risk of losing their property when the Fed ultimately raises rates. It’s all part of the boom-bust cycle inherent in our infinitely silly monetary system. What does all this have to say about the economics profession? What it really says isn’t fit to print. Someone once said that if you put 20 economists in a room you will get 21 opinions. That is not my experience. If you get 20 economists together they are likely to give you one stock answer, or at most two. And if there is one dissenter he or she is likely to be drowned out by the 19, squawking like a flock of parrots the words memorized from what their professors taught them. I have witnessed this herd-like mentality firsthand. When I was first elected to the House of Commons in 1949 there were only a handful of Keynesians in Ottawa. Twenty years later nearly everyone was a Keynesian including, I am told, Richard Nixon. At that time there were only a few monetarists around. But they spread like mushrooms and soon dominated the economic landscape. It reached the stage when Keynes was anathema, and it was almost impossible to get a tenured position in a school of economics unless you were part of Milton Friedman’s monetarist revolution. Apparently little if any thought was given to the possibility that neither Keynes nor Friedman had got it right. The former was a bit closer to reality than the latter, but both theories foundered on the rocks of one inescapable truth. Both assumed that the economic system is self-correcting, yet more than two centuries of experience has demonstrated clearly that it is not! Someone has to be at the tiller charged with steering clear of the shoals and rocks of economic disaster and that person has to be someone who is responsible to the people and not the self-serving boom-busters. The third essential change is for us as individuals. A just and peaceful world is not possible when it is riddled with graft, fraud and corruption of all kinds. Greed is king and mammon rules the world. Institutions have to change too. For centuries major religions have been selling their alleged superiority or exclusiveness at the point of a sword, leading to the deaths of thousands of innocents. The three Abrahamic religions, for example, all claim the inside route to paradise. Mathematically that is impossible. It is far more probable, mathematically, that they are all wrong and that the truth is larger and more inclusive. Ancient and modern history both suggest that there is no hope of a just and peaceful world unless all religions, and those with no religion, forget their differences and start working together to build the Kingdom of God on Earth. I define this as a world where every child can expect food to eat, clean water to drink, adequate clothing to wear, a roof overhead, access to medical support and enough education to be able to determine how best he or she can serve humankind positively, with dignity and self-fulfillment. What a wonderful world that would be! But it would require a 180-degree change in policies and priorities and a serious effort to apply the Golden Rule that all religions claim as a common thread. The application of the Golden Rule would mean an end to empire building, and the pursuit of military power and advantage. The U.S., for example, would have to stop being its own worst enemy. The declaration of the war on terror was the biggest strategic blunder I have seen. On the 11th day of September 2001, following the attacks on the World Trade Center, the United States enjoyed the sympathy of the world, including Arab states and populations. The threat from al-Qaeda was limited and quite within the potential of police and intelligence operations to cope with. The situation changed dramatically with the launch of a war on Iraq. The goodwill began to evaporate overnight. Soon, instead of a few dozens insurgents the numbers of young Muslims willing to die for their cause multiplied to thousands and a great chasm of hate and mistrust enveloped much of the world. The U.S. has consistently refused to be even-handed in the Israeli-Palestinian dispute, and the Israelis deceive themselves, and the world, when they claim to be the victims. For a long while peace has been within their grasp if they could have agreed to a just settlement, and establishment of a vibrant Palestinian state. But a handful of fundamentalists have always succeeded in disrupting the peace process because they are not willing to accept the great Rabbi Hillel’s admonition. “So always treat others the way you would like them to treat you; that is the message of the Law and the Prophets.” Meanwhile the peace and stability of the world remains in jeopardy. The world community must adopt principles and practices that override fundamentalists of any stripe whether they be Christian, Muslim, Jewish or Economic. In addition, religious people should pay more attention to their holy books. There is nothing in the Bible that would legitimize a preventive war, with its carpet bombing, or the launch of a drone or missile intended to kill one person when there is risk that innocent bystanders will also die. Similarly, there is nothing in the Qur’an that would justify suicide bombing that results in the random death of innocents. What we are really talking about is restoring democracy to countries that not only claim they have it, but also take pride in trying to export it, even though they don’t really qualify as democratic as defined in the dictionary. In Webster’s it is: “government in which supreme power is vested in the people and exercised by them or their elected representatives.” To begin, Wall Street has been the dominant power in the U.S. for decades, and still is. Add to that the fact that the Commander-in-Chief of the Armed Forces, the President of the United States, does not have the security clearance for a number of projects controlled by troops under his command, and you have to conclude that the U.S. is not really a democracy. The same can be said about Canada, the United Kingdom, Germany and myriad countries that are really puppets of the International Financial System. In each case the real interests of citizen voters is subjugated to the demands of international finance. There is a sad irony in reading U.S. history of the pre-revolutionary and revolutionary days. Historians often attribute the revolution to the tax on tea. On the other hand, “[Benjamin] Franklin cited restrictions upon paper money as one of the main reasons for the alienation of the American provinces from the mother country.” The U.S. won the revolutionary war but then lost the next critical one when it adopted the British banking system instead of pursuing the better model their provinces had been experimenting with. For the U.S. now to inflict the British practice on countries around the world, using the International Monetary Fund and World Bank as enforcers, is comparable to the King’s edict that gave birth to the United States. So the financial chains of oppression have to be broken and freedom restored to citizens everywhere. It’s time to forget the tea party and address the critically important issues facing the U.S. and the world. All of these issues are non-partisan by definition and deserve the attention and support of all genuine patriots without distinction of race, color, religion or political affiliation – both in the U.S. and worldwide. We must unite to preserve and enhance the beautiful satellite that is our birthright. The first and most urgent project is to clip the wings of the bankers and democratize the money-creation function. In the U.S. the Federal Reserve System must be abolished and its alleged function of regulating the money supply be assumed by the federal government or an agency under its direct control. The most powerful and valuable tool in the economic arsenal must be available to the representatives of the people who can be held responsible for their success or failure. Some monetary reformers recommend that governments create 100% of new money in a debt free form, greenbacks or equivalent. In the interests of a fast and smooth transition I am suggesting that a ratio of 34% government-created money to 66% bank-created money would work satisfactorily. Banks would be required to maintain 34% cash reserves against their deposits. The important thing is that governments must immediately create the large sums necessary to balance their budgets and get their economies running at maximum output again. I am talking about an infusion of perhaps $10 trillion U.S. dollar equivalent to start and more if needed to get economies up to speed and to reduce unemployment worldwide by at least half, with the creation of millions of new jobs. Is this likely to cause massive inflation, as the financial cartel will immediately allege, because it is one of its longest running and most successful bugbears? The answer to their phony phonetics is a resounding “no.” As any economist should know, it is the amount of money that is created that influences prices, and not who prints it. So as long as governments limit what economists call “the multiplier effect” there will be no problem. Certainly the present system has been inflationary. A 1950 U.S. dollar is only worth 7.5 cents today. A common sense monetary system should produce better results than that. So there is no reason why the banking system should not be fundamentally reformed – at once! There are four other actions that I think we, the people of the world should demand of our politicians. 1. A law must be passed at once to prohibit all politicians, candidates for political office and political parties from accepting money from any financial institution as well as make it a criminal offense for any such institution either directly or indirectly to offer it. 2. World leaders must adopt a 10-year time frame to reduce greenhouse emissions by 90 percent. 3. That will only be possible if the U.S. discloses its knowledge of the ET presence and technology, and what has been accomplished in 60 years of back-engineering. 4. The U.N. should declare 2012 the year of forgiveness and reconciliation – a new era of cooperation and (agape) love between races, tribes, religions, nations, and regions both mondial and intergalactic. We have so much to learn from our star visitors in many areas including medicine and food production. So the U.S. must relinquish its privileged position as the center of “the loop” as part of a new kind of leadership in creating the better world we all dream of. None of this vision of a just and peaceful world will be possible unless the all-pervasive power of the international banks has been broken. In 1999 I wrote a book in which I said the next world war would be between the banks and the people of the world. There have been skirmishes for centuries and, so far, the banks have always come out on top. They are now taking advantage of the recent meltdown, and the resulting sovereign debt crisis to line up their heavy artillery including the International Monetary Fund, the World Bank, the Federal Reserve System and the Bank for International Settlements for a final conclusive battle. As always the aim of the game is to rob the people of the world of their sovereign right to govern their own affairs, and to entrench the power of the international banks, their elite industrial allies and a small cabal of military insiders who run the world as their private fiefdom. The word “unjust” is too small a word by far to describe what they are up to. If any skeptics think I am overstating the case don’t take my word for it. Go to http://www.victoryfortheworld.net and read some of the books that can be used as references. A hundred pages of The Web of Debt, for example, setting out the history of money, will probably be enough to make you sick at your stomach. I stopped reading it at night because if often made me so angry I couldn’t sleep. I entered politics more than 60 years ago because I thought recessions were quite unnecessary. They were monetary phenomena with a relatively easy fix. 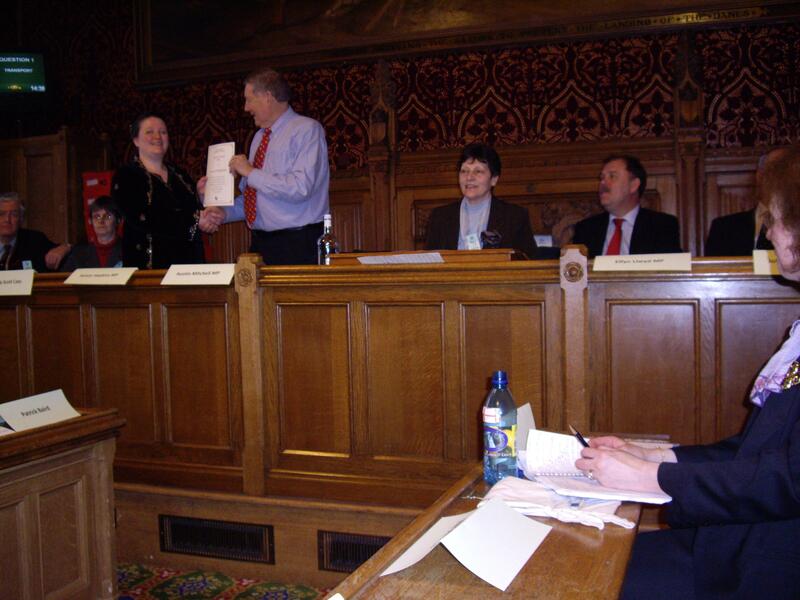 I have made hundreds of speeches on the subject and convinced a few thousand people. But never the movers and shakers. And the mainline press were less than helpful. They were so jaundiced that they were not interested in a maverick speaking truth to power. So it was always a case of David vs. Goliath, to use a Biblical analogy. Now, for the first time, the power exists to turn the tables and go for the jugular. The internet is providing power to the people that they have never enjoyed before. The young people of the world, in concert with the thousands of their parents and others who care about the state of the world can use the power of social networking to effect a miracle on their own behalf and that of succeeding generations. The valiant people of Tunisia and Egypt have shown the way by achieving what was believed to be impossible. We share their euphoria. At the same time they, and we, must acknowledge that it is only the beginning. Real freedom will only be possible when they have escaped from the tyranny of international banks, and Wall Street is no longer able to manipulate the price of their daily bread. A good start might be to distribute a million copies of this speech and translate it into a number of languages. Then the rising generation can bombard the barricades through their social networks. Regime change is not necessary except for leaders who refuse to see the light. But concerned citizens of the world should band together and rattle the cages of all federal politicians. Tell them bluntly that they must vigorously support the above agenda or face inevitable defeat at the next election. It is a simple message, but the only one they understand. At a press conference on March 29, 2001 announcing the U.S. was backing out of the Kyoto Protocol, President George W. Bush said, “A friend is someone who tells you the truth.” That is what I have been doing today. It is a message of global hope for every race, color, religion and nationality in the world and of peaceful relations with visitors from other realms.